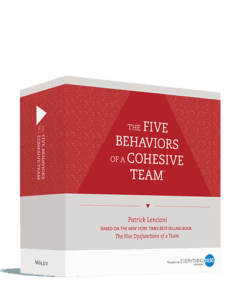 The Five Behaviors of a Cohesive Team™ Certification - MDR Coaching & Consulting Inc. 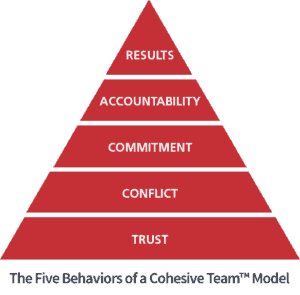 The Five Behaviors of a Cohesive Team™ powered by Everything DiSC® on-line training helps teams understand how to apply The Five Behaviors™ model of Trust, Conflict, Commitment, Accountability, and Results to their work culture. 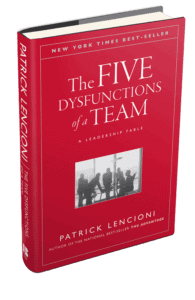 By utilizing Everything DiSC, a tool that helps build effective team communication and relationships, this program allows participants to learn about their own DiSC® style — D: Dominance, i: Influence, S: Steadiness, and C: Conscientiousness — and discover how each style brings value to the team. 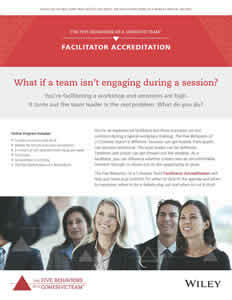 Facilitator Accreditation is available to individuals within client organizations. Accreditation will be granted upon completion of the Wiley course and passing of the accompanying exam. Accreditation is valid for at least two years.